Exceeding the above mentioned maximum limits may cause serious damage to the machine or injuries to people. 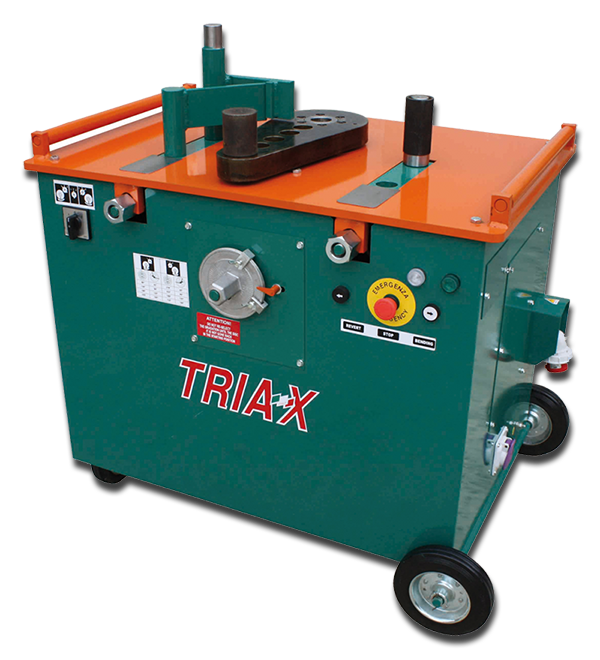 – Equipped with two stages gear reduction unit, which allows any type of bending without any mechanical effort. – The disc of bending and combined machines rotates in both directions, coming back automatically to starting point. – Equipped with a micro switch which prevents the machine from working if the door is open according to safety rules. – All machines have double electric controls for the complete freedom of the operator. – Electric controls work with low voltage current according to the rules.